In November 1991, PanAmSat Corporation ordered three Hughes HS-601 model PAS (PanAmSat) satellites from Hughes Space and Communications Company. The satellites provide video services for program distribution and syndication; data services for business applications; and services for video, radio, data and telephone transmission. They were placed over the Pacific, Atlantic and Indian oceans, respectively. 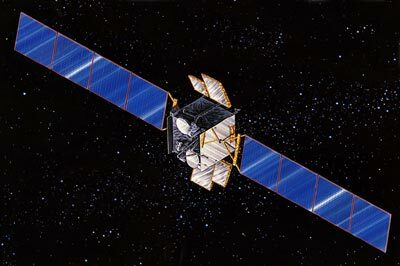 In August 1993, PanAmSat ordered a fourth satellite, to be used as a spare. The spare was pressed into service to replace the first PAS-3 spacecraft, which was lost during a launch vehicle failure. The PAS spacecraft were the first in the Hughes HS-601 line to use Hughes' patented advanced shaped reflector antennas. These lightweight reflectors have an intricately contoured surface that shapes the signal to the targeted land area, eliminating the need for a heavy feedhorn array. PAS 4 suffered a SCP failure. The satellite is operating normally due to a backup processor.